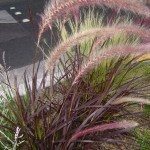 I’d like to use purple fountain grass in my front yard landscaping project, in N.W. Florida. I’ve read that it can be invasive but there are cultivars that are sterile. 1) How can I determine if a plant is sterile/will not be invasive? 2) if it is sterile, will I still be able to divide the plant in the future to share? 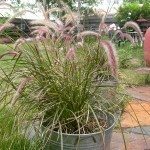 Pennisetum Rubrum is one sterile cultivar of purple fountain grass. Propagation is through division of the clump.